Power Screening is a leading dealer for separating equipment in the Rocky Mountain region and beyond. With locations in Henderson, CO and Albuquerque, NM we offer professional sales, rentals, parts and service support. Our large inventory of new and used mobile separating equipment includes a variety of Komptech models. In addition to Colorado and New Mexico, Power Screening serves customers in Nebraska, Eastern Wyoming and Southwest Kansas. 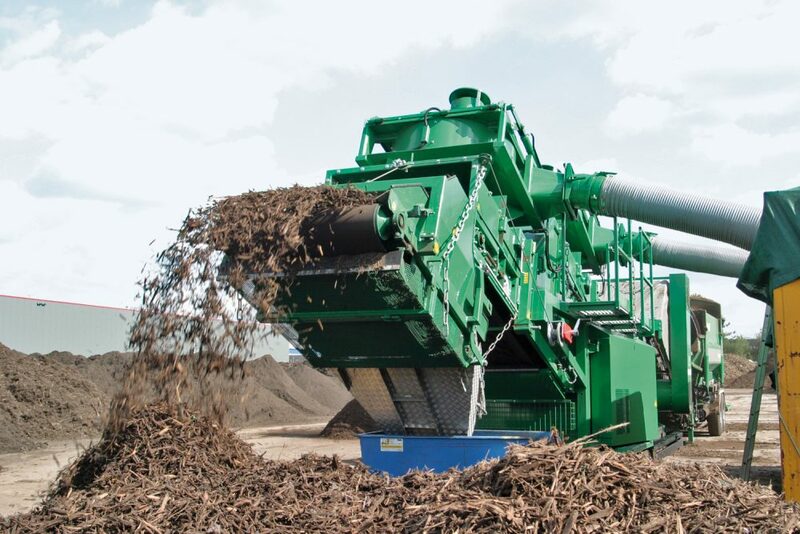 Most operations in composting and biomass have contamination from incoming material. This contamination must be removed from the end of the screening process. Komptech machines are the solution to any separation problem. Depending on the contaminants, Komptech has three separation machines. Separator models include the Komptech Hurrifex, Stonefex and Hurrikan S.
Each separation machine is built with Hybrid technology and is compatible with most mobile screening units. With proven technology, the Komptech line of separation machines helps create a higher quality end product, efficiently and effectively. The Komptech Hurrifex combines a stone separator and wind sifter in a single machine. This makes it possible to clean compost and biomass fractions of stones and light materials - primarily plastic film - in one pass. Easily adjustable separation parameters give the Hurrifex a wide range of applications, and a separation efficiency of up to 95 percent. 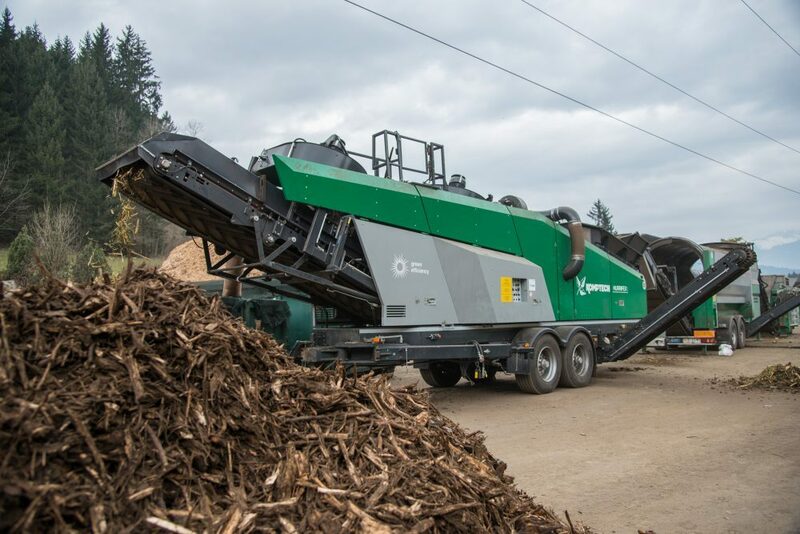 The Komptech Stonefex 3000 E stone separator reliably and very effectively removes stones and inert items from biomass fuels. 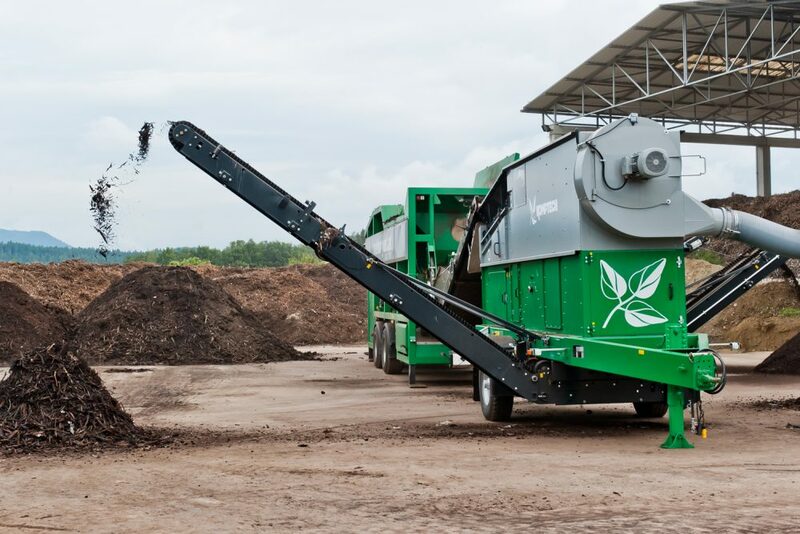 The input material is the usable biofuel fraction from a screener, for example woody green cuttings, screen residue from compost, or forestry chips. A patented system of pressure and suction blowers generates exactly the right air flow in the separation chamber to remove stones and heavy objects from the wood. The mobile Hurrikan wind sifters allow effective separation of plastic foils out from over-sized screened particles. The patented “pressure-suction” process enables an effective separation of light fraction from screening residues. In the first step, material is separated off by a pressure blower. In the second step, the lightweight material is drawn off by a powerful suction blower. The suction performance is adjustable to material by variation of blower speed, blower distance and vent flaps. Our strong manufacturer relationships enable Power Screening to provide only the highest quality, mobile separating equipment to our customer base. We carry genuine OEM parts and our trained team of technicians offer both shop and field support to ensure that our customers' equipment is kept up and running.